They say to never say never. Well I’m saying it. I will NEVER dress up for Halloween again. The most you will get out of me is jacked-up fake Hillbilly teeth or a flashing pumpkin necklace. I’ve suffered Halloween Horror and the scars run deep to this day. My single mom was always a master at creative homemade inexpensive costumes. I still laugh at old pictures of my brother in a cardboard cut-out monstrosity disguised as a shiny new penny, or me as the clown of your nightmares with an actual red-dyed mop on my head and sponge-painted polka-dotted pantaloons. I have seen pictures from when we were kids of her partying in the early 70’s (the older crowd among us will know what that really means) in costumes that usually included a boyfriend side-kick. I only saw their costumes in pictures because the adults on my street when I was growing up would all congregate at one house to throw a huge drunken flesh-filled bash, and all of the neighborhood kids would end up and another house with a clearly overwhelmed teenage babysitter. It was a perfect arrangement for all of us, except the babysitter. A few of the covert party pictures I have seen of mom dressed up in costume include a very pregnant Lois Lane with her Superman, and a couple taking a shower. Yes, an actual shower curtain hanging on a hula hoop attached to them. They had mostly no clothes on. The one Halloween that is forever etched into my soul was when I was in first grade, back when kids were still allowed to wear their costumes to school. Halloween at my school was a pretty big to-doodle in the multi-purpose room every year. We got out of class, there was a parade, and candy awards were given for the most creative and scary costumes. I was so excited to finally be in first grade and participate like a “big girl.” No kindergartners were allowed to attend due to the potentially scary outfits. I had waited a full year for the day to come, I had my eye set on one of the sugary prizes. Mom woke me up early that fateful morning to get me dressed and I was beyond excited, hopping around chanting about candy, the parade, and trick-or-treating. I’m not sure now why I have absolutely no recollection of knowing in advance what my costume would be, but what I do remember was that first horrified look in the mirror when she was finished. I remember my blood ran cold and I was paralyzed with horror at what I saw staring back at me, that first glimpse of….. “The Fat Pizza Man.” That’s what I called him then, that’s what I still call him today. He haunts me in my grown-up dreams like Pennywise from Stephen King’s “IT”. The “Fat Pizza Man” has never left me. My costume was pieced together from a straw convention hat, (probably left over from an election-themed party because mom never threw anything away), a wide-striped red and white long-sleeved men’s shirt with a pillow stuffed into the belly, a choking white bow tie, white pants, black shiny shoes, and a handlebar mustache. My beautiful waist-length hair was tucked up secretively under my hat. I looked like a confused mix of a spittle-slinging old school southern baptist preacher, a crying Super Mario, and a gondolier Where’s Waldo on election day, only my stripes were running the opposite direction. It was clear to me that my input on my ensemble was neither required nor welcomed by my mom and my jealous eyes burned holes into my younger brother through his cool ghost-sheet costume. There is no evidence of that day other than that first look in the mirror, the one that is burned into my psyche for all time. I think mom knew better than to take pictures and document my utter humiliation. Remember as a kid when you used to draw mustaches over your teacher’s pictures in your yearbook or in magazines on models faces? I felt defaced just like that. 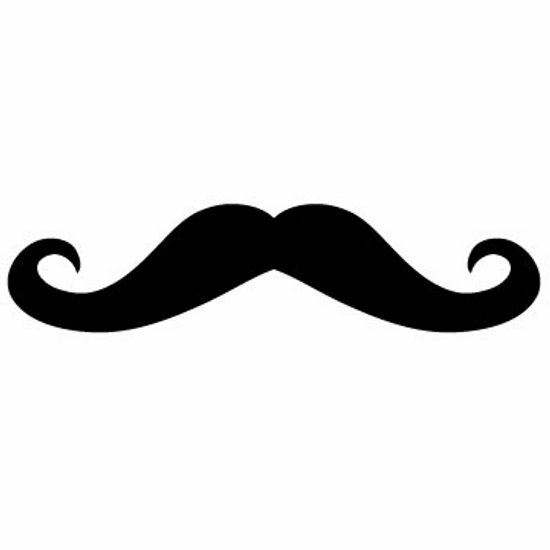 My young mind just couldn’t reconcile the mustache on my face with the sign on the wall in my mom’s bathroom that said “Mustache Rides 5 Cents.” Of the whole getup, the mustached disturbed me the most. My tear-stained mustache won me a runner-up container of Tootsie Pops that year. The thought of standing up on stage to receive my prize made my stomach sour. I didn’t want the candy, not like that, but the volunteer parent helping with the parade pushed me up on the platform to receive my award. I don’t know who did the voting, but I’m sure it was a pity prize because they felt sorry for me. That night when I got home I hid “Fat Pizza Man” under my bed and cut holes in my flowered sheets to go trick-or-treating in. I was in a world of hurt when my mom saw what I had done to my bedding. I still hate Tootsie Pops.